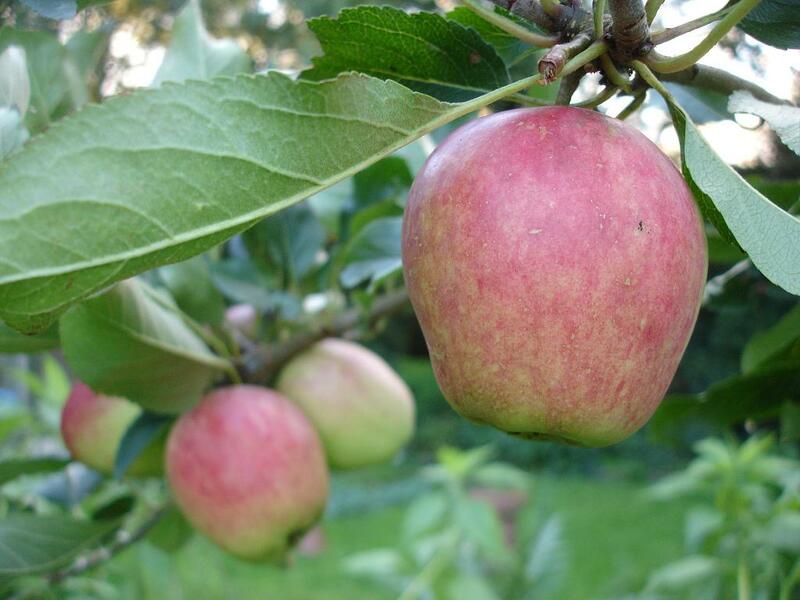 This Wednesday, 21st October, is Apple Day when we celebrate apples and the beautiful orchards where they are grown. It was first launched in 1990 by Common Ground who were dismayed by the loss of so many traditional orchards yet amazed at the 3,000 varieties that have been grown here. The first Apple Day was held on October 21, 1990 in the old Apple Market in Covent Garden, London, bringing fruit back there for the first time in 17 years. Since then, Common Ground have worked to extend, support and promote Apple Day countrywide through nurseries, fruit farms, restaurants, the National Trust, RHS gardens, museums, art centres, community groups and schools who celebrate this day in their own place, in their own way. There are lots of organised events celebrating the apple throughout the country click here to find one near to you. Apples must be one of the most versatile, convenient, and healthiest foods available. Apples can be baked, stewed, fried, microwaved, roasted, made into jellies, chutneys and delicious desserts in fact there is very little you cannot do with an apple. For a quick snack that’s fast, easy to eat, delicious and very healthy just pick up an apple, we have all heard of the saying ‘An apple a day keeps the doctor away’ but just how true is it? So why not go to school or work with an apple tomorrow. One of my favourite ways to eat apples is simply as Apple Sauce made with Bramley Apples which soften and fluff up perfectly, I add only the minimum amount of sugar so that they retain their distinctive tang. Whilst peeling the Bramleys to go with the Roast Pork I set myself a challenge to see how long I could get the peel in a single piece, the longest measured 169cm. The record for the longest unbroken apple peel was set on the 16th October, 1976 by Kathy Wafler Madison, aged 16, from New York, USA, she carefully peeled a 567g apple for 11 hours and 30 minutes, the peel measured 52metres 52cm long. 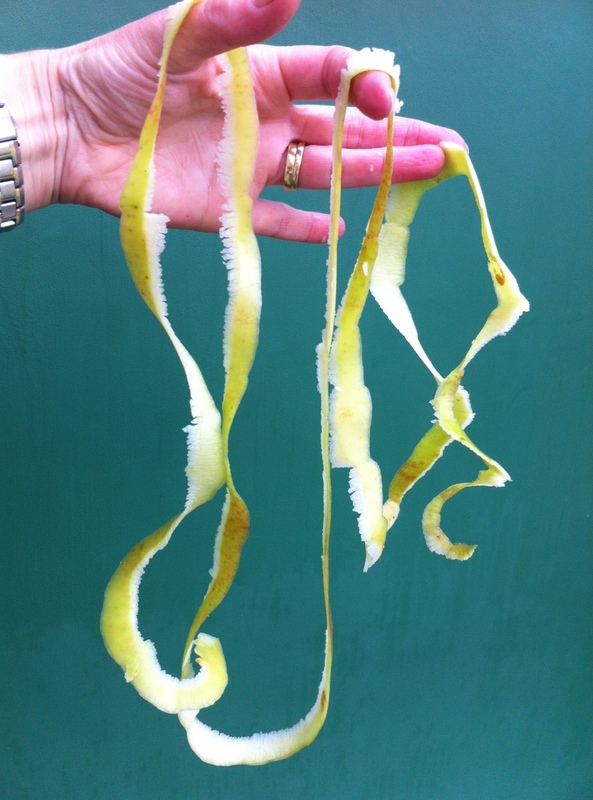 Why not have a family or school challenge to see who can create the longest piece of apple peel from a single apple, for the adults it has to be one piece for the children it can be several pieces combined.